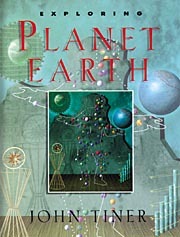 Exploring Planet Earth is the first in a series of five books on science, which are geared toward the home-school market, but broadly appealing for any elementary age child. Tiner has written a textbook for 5th grade to junior high level, similar in style to public school texts, but with a creationism perspective of history. With definitions of terms and identification of famous explorers, scientists, etc., this book gives students an excellent initial knowledge of people and places, encouraging them to continue their studies in depth. Supplemented with illustrations and photographs. By bringing to life the explorations of people like Marco Polo and Christopher Columbus, the author gives students the opportunity to read history that hasn't been altered or erased altogether. This page was last modified on 13 August 2014, at 20:02.